We have nine best-selling Product Management books written by our founder, Brian Lawley, and our team of consultants and trainers. Several were ranked in the top 50 business books on Amazon.com the first day they were available. The definitive guide to Product Management and a must-read for any and all Product Managers. This new Product Management book gives you the tools to vastly increase your skill level and become a great Product Manager. This Product Management book describes our seven-phase Product Management process and framework. 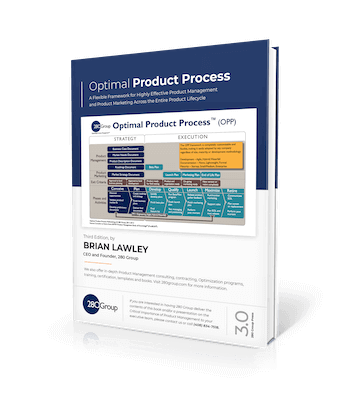 Download your copy to learn about all seven phases of the Product Lifecycle. 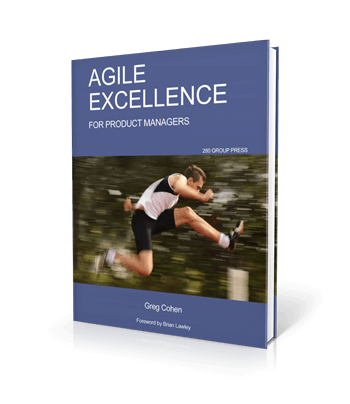 A must-read for Product Managers making the switch to Agile development, as well as Product Owners and project managers looking for better ways to organize and lead in their organizations. The Product Manager’s guide to success, job satisfaction and career acceleration. Read what has made the best Product Managers more successful and more satisfied with their careers. A guide to winning markets through product strategy. In order to be an excellent Product Manager, you must have an understanding of what is best for your product right now and how to ensure it’s success in the future. This book details an alternative Product Management framework that focuses one simple idea: optimizing product-market fit in less time with fewer resources. Download your copy to learn about Lean Product Management. Learn the rules of Product Management from leading experts around the world. Each author shares an insightful rule to follow to be a successful Product Manager. Learn the rules of Product Marketing from leading experts around the world. Each author shares an insightful rule to follow to be a successful Product Marketer. Advanced techniques, tips and strategies for Product Management and Product Marketing. Learn how to create compelling roadmaps, run better beta programs, launches, and get great product reviews.